Updated at 7:49 p.m. ET: Mark Balelo, who appeared on A&E's "Storage Wars" as a frequent locker buyer, was found dead Monday at his California workplace, the Ventura County Star has reported. The reality personality died of carbon monoxide poisoning, the Ventura County Coroner's Office confirmed to E! News. His death was ruled a suicide. Balelo was arrested on Saturday on suspicion of possessing a controlled substance and was scheduled to appear in Ventura County Superior Court on Feb. 19. The 40-year-old was the owner of Balelo, Inc., a liquidation merchandise business. He came to the media's attention in April 2011 when he returned a rare copy of a 1938 Action Comics comic book he found in a storage locker, more than 10 years after it was stolen from its owner -- actor Nicolas Cage. 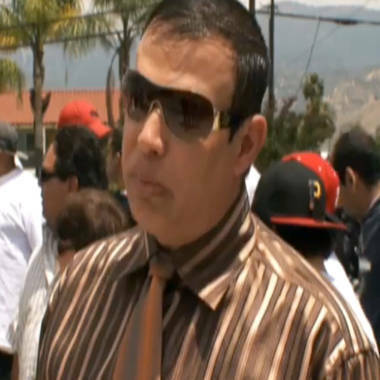 Balelo first appeared on "Storage Wars" in August 2011. On his Facebook page, he had indicated he was "currently working on a new reality show of (his) own." Since learning of Balelo's death, some "Storage Wars" stars have shared their thoughts about him on Twitter, including Darrell Sheets, also known to viewers as "The Gambler," and auctioneer Dan Dotson.